I’m taking an engineering viewpoint on this week’s photo challenge theme of Descent. Because I’ve long been fascinated and thrilled by the way our forefathers used the controlled descent of water under gravity as very clean power source (and indeed modern hydropower stations do too). Above is the flour mill at Cotehele in Cornwall. Water is diverted upstream and channelled to the top of the waterwheel, which turns under the force of the water tumbling through its fins, thereby turning a shaft, which is in turn connected to a complex arrangement of gears and grinding plates inside the building. The water descends, the wheel turns. How simple. How brilliant. The Romans were also really clever in how they controlled water under gravity. 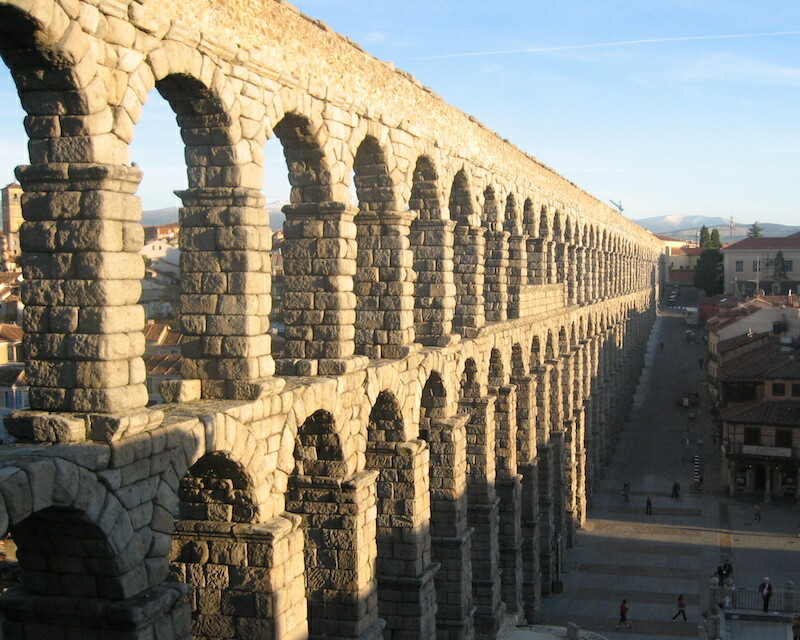 Witness their amazing aqueducts (pictured Segovia, Spain — again, sorry… but it IS a different photo, promise! ), which were used to carry water into the heart of the town. The basic principle of diverting water was the same, and then it was a matter of channelling it carefully over undulating terrain, making sure the mildly descending gradient of the water channel remained constant. This meant they had to calculate precisely how high off the ground the aqueduct needed to be at any given point, relative to the surrounding terrain… And construct it accurately as well. Amazing. 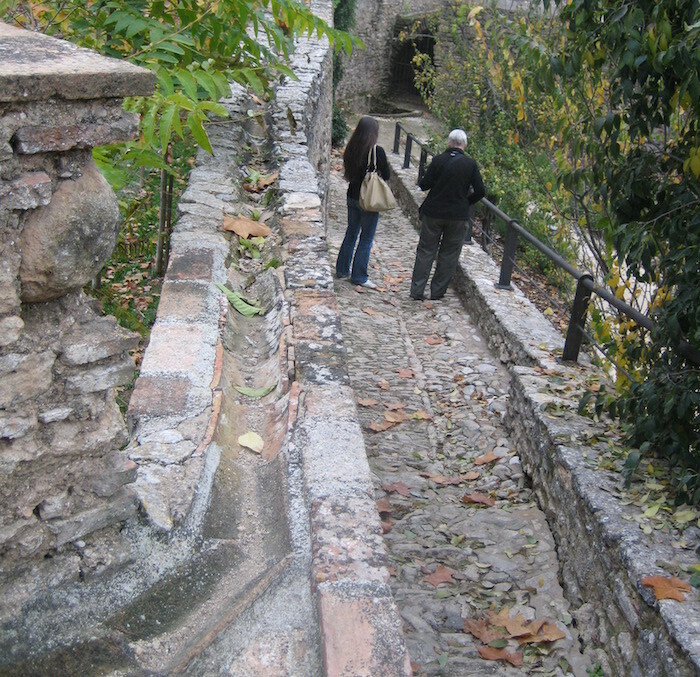 And here’s a mini aqueduct carrying water to the baths in Ronda, Spain. The water here was drawn from a well (behind the shot) and channelled down via the conduit filling up with leaves into the bathhouse. I just think this is cool.